Just before i get in the mood, i just want to say to you guys that i am quite happy today. My adsense account has been upgraded to use the Google adsense wire transfer payment method. Thats by the way though. 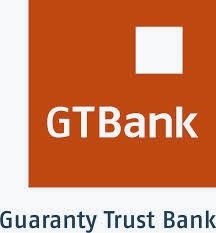 Now you may be asking or wanting to know about the GTBank SWIFT codes for wire transfer. This is one of the most recurring questions sealed to mostly adsense users. If you have not heard about the latest news from adsense concerning upgrading some Nigerian account, you can read up my previous blog post on how adsense is planning for the upgrade of Nigerian adsense account to use wire transfer. While i was filling my adsense account to use the wire transfer payment option, i noticed that a Swift code was required. Since i never knew what the swift code for Gtbank official dorm account was, i had to make some research. Luckily, i was able to get the exact answer to my question on the official GTBank website. Though it took a whole of my time, but i am glad i could find it. Below is the Swift code for adsense official bank (Citibank) New York. This is the code you should place in the blank field where you have the option for Swift codes. You can see the Swift code written in Bold (GTBINGLA). Do make use of the wire transfer payment option, simply go to your form of payment page and select wire transfer payment. Complete all needed details and use this Swift codes for your wire transfer payment. -- It is an easy, convenient and secure means of transferring funds. -- Beneficiaries can be paid in US Dollars or local currency, Cedis, Dalasi, Leone and Naira (Beneficiaries can only be paid in local currency in Ghana). As per now, i really do not have any idea how much GTBank charges for wire transfer. As the day goes by, i will make sure i update this. What is your take on this post? Happy, Sad or Just Ok. Note that your comment will help me improve on the quality of this post. So keep it coming. Thanks for sharing this adsense swift code. You are quite welcomed Samir. Thanks for appreciating the topic. Have been using adsense since a while and getting payments too but never tried EFT yet. It is just an upgrade of recent by the Google adsense team.